JohnnieTalker | KEEP TALKING. Read. Watch. Listen. A few weeks ago 60 Minutes aired an interesting and insightful segment on the rise and role of robots, and their impact on the job market. Despite the steady rebound of the U.S. economy, soaring corporate profits, and a strong stock market the nation’s unemployment numbers remain steadily high in the aftermath of the 2008 financial crisis. Initially this ‘new normal’ in the job market was seen as sign that companies have learned to operate and succeed in uncertain and tumultuous economic times by downsizing their workforces and thinning their labor expenses. Though the economy has rebounded, jobs have not, and this segment illustrates one of the unknown and growing factors which has attributed to the continued problem of joblessness in the country. Robots are cheap, efficient, and practical solutions for expanding economic growth in the U.S., especially manufacturing, while at the same time keeping costs to a minimum. Opponents may decry this as yet another way for corporations to squeeze out more profits and deny workers fair pay. However, though the short term effects of such a transition to robotics may continue to hurt the job market, this should be a welcoming sign to the U.S. economy for a number of reasons. First, it has been a major catalyst and boost to the U.S. manufacturing industry which until recently has been steadily declining over the decades. Second, these new robots- though they may replace a worker- are eliminating the need for low-wage and low-skill jobs, thereby creating a need for more high-skill and technical jobs. Though these jobs may be less in number, they are more productive and pay better. This is the kind of job market we should we working towards, and not against. The simple and low paying manufacturing jobs of the past are gone, and will not come back. This is a practical fact that no company or political will say, but all know is true. 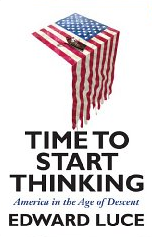 Instead of burying our heads in the sand and hoping for companies to one day wake up and rehire the unemployed- which they will not- we must recognize the practical reality. We are going through the growing pains of a shifting economy. The quicker we understand this, adapt to it, and train our workers for it then we will be better off, perhaps not in the present but we will be poised for a better future. This is a benefit and success for U.S. innovation, which has always been the main driver of our economic growth and success, both domestically and internationally. Though many may lament this new innovation, they should not fear it but embrace it. It is not a threat to us or our workforce, these are not jobs we want, nor need. The real losers of this innovation are the low paid workers of the developing world, primarily India and China, and can bring about a turn of the tide in reducing out-sourcing and foreign manufacturing. By lowering the cost of production U.S. companies can reinvest in the U.S., hire skilled workers which will be trained here, and contribute to our economy. This new economy will require more investment in education and a better economic strategic plan, however it is a signal in the right direction and a positive new normal that we should embrace. The debate between science and spirituality (or religion) has been waged for centuries, and is now more relevant than ever. 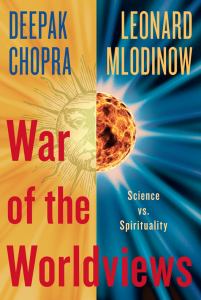 In their book War of the Worldviews : Science vs. Spirituality, Deepak Chopra and Leonard Mlodinow each seek to make the case for their respective areas of expertise. This debate, or battle, is a fundamental issue in our world and helps shape the views of both individuals and societies. Some argue that each are mutually exclusive- that religion is the be all and end all, while others contend that science is the only true universal fact governing our reality. For all those interested in this subject, or who simply seek to understand the arguments of the opposing side, this book is a necessary read. Without defending organized religion, Chopra asserts that there is design in the universe and a deep intelligence behind the rise of life. Mlodinow, CalTech physicist and the writing collaborator of Stephen Hawking, argues for the viewpoint of science, specifically of modern quantum physics. 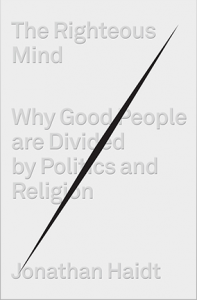 What was extremely evident after reading this book is that both sides have compelling and substantive arguments. Science can, and does, answer a lot of the questions of life, however where it falls short Chopra masterfully contends that a higher being fills in the void. Rather than finishing the book in favor of one side against the other, I instead had a deeper and more respectful view of both arguments. There are many uncertainties still in life, however, what this book illustrated is that our worldview does not not need to be black or white, and that these two opposing world views can complement each other and give us better insight into a world that both sides argue for. To listen to more of the debate between the authors, go here. Last week Erin Burnett ran a short segment on her show Outfront regarding the social media explosion during President Obama’s inauguration. In this clip she made a compelling argument stating that people often get overwhelmed with taking pictures, tweeting, and sharing photos rather than enjoying the moment for themselves. I can appreciate people wanting to share their memories, show others what they are doing, and broadcasting their lives. However, some things simply need to be enjoyed and remembered without the necessity to share, or at least not marginalized by such a necessity. 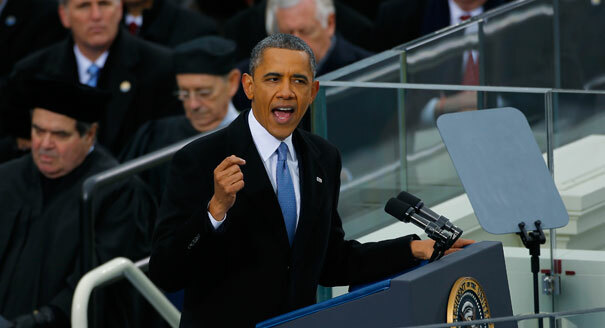 Memories, especially significant ones such as a presidential inauguration, are momentous and historic events which ought to be cherished and remembered. Often times we forget this simple, yet profound, part of our lives. The act of recording and sharing an event has eclipsed the ability for an individual to enjoy the moment, appreciate it for what it is, and simply live in the moment and cherish it. In doing so people have become spectators of their own lives, an outside observer of the moment just as their friends and social media connections are. Watching an event, whatever it may be through the screen of your smartphone or camera, is not the same as seeing it with your own eyes, taking in the sounds, and enjoying the feel of the moment. Take a step back sometimes, or just keep your phones in your pocket, and enjoy life and memories for what they are. Former General, and Secretary of State, Colin Powell joined David Gregory on Meet the Press this past Sunday to discuss a wide array of pressing issues facing the country. Powell, a lifelong Republican himself, gave his take on the current state of the Republican Party and criticized its trajectory as well as its stance on a wide array of current issues. He gave a strong and logical defense of Sen. Chuck Hagel’s nomination to be the next Secretary of Defense and spoke about the role of the U.S. military and the mission in Afghanistan. He also spoke about gun control and other pressing issues. This is a great video to watch and some real logical perspective from a life long public servant, whether it be during his time in the military, in government, or now through his philanthropic activities, General Powell is a tue American Statesmen and represents the best in leadership that this nation has to offer. Time to get it together, and fast. The GOP has lost five of the last six presidential popular votes. Bill Clinton won in 1992 and 1996, Al Gore won the popular vote in 2000 (though Bush won the electoral college and the presidency); the only popular election win was George W. Bush’s 2004 campaign, and Barack Obama handily won in 2008, and now again in 2012. 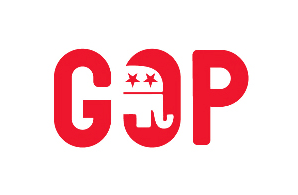 This is a party whose message is falling on deaf ears, perhaps because most of those ears have passed away, and the GOP is being left with an aging, white, religious and fringe base. Demographics matter, and the Republicans simply do not have the numbers to win nationally, or to an extent at the state level, in presidential elections anymore.